Fr Hans Zollner SJ. Image: Diocese of Wollongong. More than 600 people gathered in Sydney over two days to hear from the Pope’s expert on child protection and the prevention of abuse. 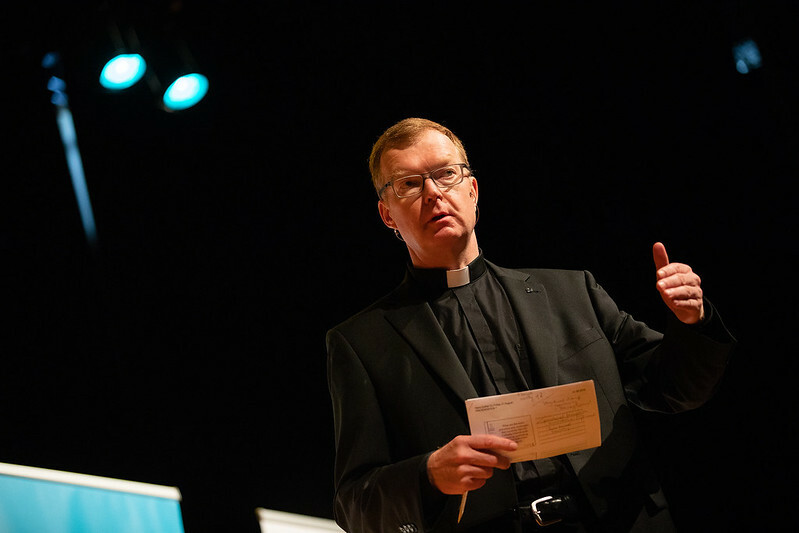 Fr Hans Zollner SJ, the recognised authority on safeguarding children, delivered lectures and led workshops at the Creating a Safe Church from Within conference which looked at why abuse occurred in the past, what has been done to fix the issue and what must be done to prevent it occurring again. In attendance were victims and survivors of abuse, priests, nuns, school principals, teachers, parishioners, volunteers and Church employees.